The UKU have released the known major outdoor dates ahead of next season – fill your calendar’s now! In exciting news for Ultimate fitness freaks, Kapow Ultimate have released details of their one-off London based fitness sessions with Boston Brute Squad and Ironside trainer – Tim Morrill. Understanding Ultimate takes a look at disc reading in the latest of many insightful posts. Get Horizontal have released a recap of xEUCF, which amongst other things sends out a strong message regarding SOTG of this year’s open division. Over the pond USA ultimate has been receiving recognition from mainstream media publications – check out these articles in TIME magazine and The Economist. The Grapevine this week is all European after one day of play at xEUCF we bring you all the links and info you might need to follow from Blighty. As you might have already seen Playo.tv are streaming from the main pitch and there remain a couple free games, quarters onwards include a small fee. Schedule was changed a couple days ago and the UltiOrganizer is being used for results. Clapham: Heidees 15-6; W, FAB 15-10; W.
Chevron Action Flash: Otso 15-12; W, Uprising 15-11; W.
Brighton City: Bad Skid 7-15; L, Freespeed 6-15; L.
Devon: Ragnarok 8-15; L, CUSB 11-15; L.
Fire: Jetset 15-12; W, Lucky Grass 15-6; W. Kapow! : Mooncatchers 10-15; L, Prague Devils 11-15; L.
Iceni: JinX 15-5; W, Yaka 15-8 ; W.
Nice Bristols: Copenhagen Hucks 12-15; L, Cosmic Girls 10-15; L, LayD’s 15-14; W.
SYC: Lotus 1-15; L, Hot Beaches 15-8; W, Lemon Grass 13-15; L.
Leeds: Prague Devils 8-15; L, CUSB Shout 11-15; L, U de Cologne 6-15; L.
Bear Cavalry: Vassa Saints 15-11; W, Friselis 14-9; W, Corocotta 15-11; W.
Cambridge: Sun 15-7; W, Disc-o-fever 15-9; W, Wunderteam 15-9; W.
DED: Croccali 14-15; L, Ah Ouh PUC 15-8; W; UFO Utrecht 11-15 L.
Thundering Herd: Salaspils FK 13-15; L, Frau Rauscher & the Bembelboys 14-15; L, Spirit on Lemon 15-14; W.
Zimmer: Ultimate Vibrations; 15-7 W, BAF 15-7; W.
BAF: Ultimate Vibration; 13-15; L, UFO Tampere 15-14; W, Zimmer 7-15; L.
Open: In the top power pool Clapham continue to dominate only conceding 24 and remain first seed going directly into quarter. Whilst Chevron have a bad day at the office with 3 losses they go into a crossover against Prague Devils in the morning. Devon and Fire clash once again to decide who goes up with a chance at top 8 glory, Fire come out on top and make it evens for the season against the boys from the south west. Brighton also lose out in the middle pool and go into the 13-20 pre-quarters along with Kapow! who got their first win today against FUJ. Women’s: Iceni were only challenged in their power pool by Lotus; who took half 8-6 but allowed Iceni to go on a 6 point run and finally take it 14-11. Lower down Nice Bristols took a hold of their tourney by the neck and grabbed three wins today against LayD’s, Leeds and Prague devils giving them a 5-12 pre-quarter and still giving them hope of higher things. SYC also got themselves into this bracket by taking down YAKA and Hot Beaches in their lower pool. Sadly Nice Bristols aided Leeds towards the 9-16 playoffs, go take ninth ladies! Mixed: Both Bears and Cambridge conceded their first losses (to Crocalli and Salaspills FK, respectively) but did enough to continue into quarter finals. After a convincing win over Ah Ouh Puc, DED couldn’t keep up the tempo and lost twice, pushing them down into the bottom 8. They will join Thundering Herd who are currently 1-5. Masters: As expected the mighty Zimmer continue to top the table, being pushed by OUF to their worst win of 15-10. BAF actually need a favour from their UK friends; if Zimmer beat UFO Tampere and BAF take down Ultimate Vibration then we would have an all UK final tomorrow evening. All teams move into XO’S tomorrow before QF/SF and Finals Sunday. Stay in touch at Fan Central and with the hashtag #xeucf2013. DP @ tSG. 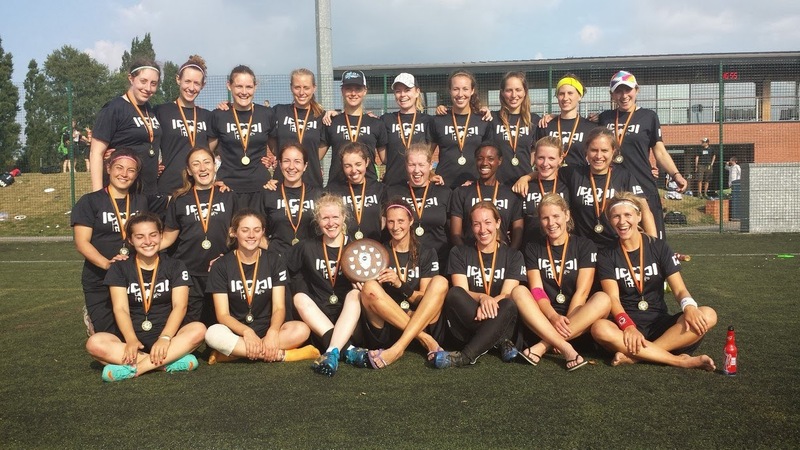 UKU Open Nationals 2013 saw London’s Clapham Ultimate secure their thirteenth consecutive win in a clean sweep. Chevron Action Flash achieved revenge in a repeat of 2012’s semi final against Fire of London, but were unable to dislodge the perennial UK Champions. Brighton Ultimate improved by one to gain their highest ever placing of third, and guaranteeing themselves a spot in the upper ‘Elite’ bracket. 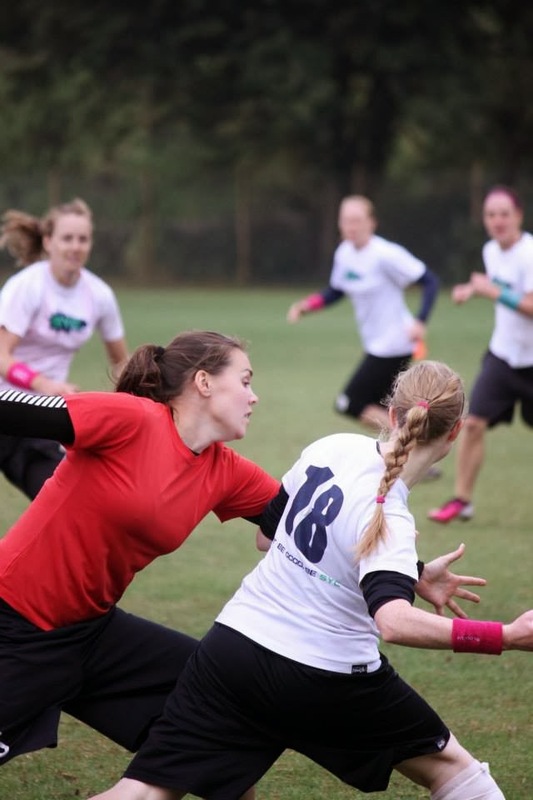 They will be joined by the Cinderella story of the weekend, Devon ultimate – who have threatened an international breakout before (Nationals 2010 saw them miss out by a minor margin), but are now consolidated as surely the UK’s favourite underdogs as they rise above Fire 1, EMO, and Kapow! to place 4th, after completing a late-game-comeback-sudden-death-victory over none other than Fire, a result foreboded by the epic Tour 2 Matchup. 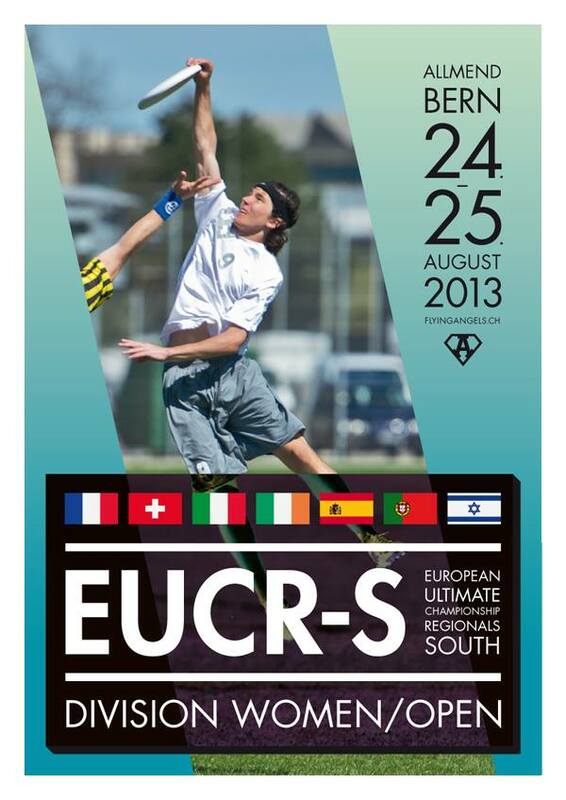 In 2006 the top European open teams met in the first EUCF, a yearly event installed to replicate the high level competition of the 4-yearly European Ultimate Club Championships. A clear expression of the need for European teams to test each other in order to compete on the world stage, the two tournaments combine on their overlapping years to create the extended European Ultimate Championship Finals, or xEUCF. British Open teams have a proud history at these elite meet-ups, with Clapham winning gold and Spirit in the last EUCC (Rostock 2005), and a British team competing in the final every year since 2006 other than 2010, winning in 2007 (EUCF – Clapham), 2009 (xEUCF – Chevron) and most recently 2012 (EUCF – Clapham). Last year’s event also saw an all british final for the first time, and the first European final with both teams from the same country. British teams will be approaching the event with hopes not only of high finishing placements, but also to make use of the undeniably crucial development opportunity that this high level tournament provides. The large capacity of this year’s ‘extended’ format allows more British teams to share in this high quality tournament, with 6 top club teams being given the chance to test their squads against a deeper field than the domestic Tour and Nationals. The 1st seeds, undefeated this year in Europe will be looking to complete the elusive back to back repeat that only FAB (winners in 2010, 2011) have so far managed, the second of these victories coming after a gutting and thrilling defeat of Clapham in Brugge. Chevron perform well in Europe, placing 2nd and 3rd in the previous two tournaments, and winning the previous xEUCF in London (2009). After failing to best Clapham so far, the Ron will be looking to reclaim gold on the highest stage. Showing consistent form to rise above the otherwise turbulent nationals mid-table, Brighton will be hoping to do what they haven’t yet and make a serious impression on the European open scene. Mysterious roster additions of US stars Elijah Kerns and Aaron Honn seem could, if they prove true to add a decent punch of firepower to an already impressive and hungry squad. Whilst on their maiden voyage, this squad will nevertheless be hungry for victory. Feeding off a fierce competitivity built upon a simple love for playing together, the West Country collective will be relishing the opportunity to diversify their scalp collection. Other than a finals berth in 2008, Fire have struggled to make an imprint abroad to match their domestic placings. A rocky domestic season will not have helped, but an unpredictability in form may equally work to their favour in Bordeaux. Euros has been their goal all season, and it will not be taken likely by this young and improving team. Led by Dave Pichler and bolstered by returners Will Caldwell, Kapow will be hoping to upset some unwitting European opposition with their uniquely creative playing style.